Direct injury: Direct violence will produce transverse fracture at the site of impact. This usually produces a lesion over the mid-third of the forearm bones. Indirect injury: The injury is produced by a twisting sprain. Fracture is usually of an oblique or spiral variety. One bone impinges upon the other during the process of the twisting force and produces the lesion. The nature of deformity produced depends on the type of displacement of the fractured segments. (a) Undisplaced fracture: The lesion may be of the undisplaced variety and no deformity is produced. (b) Angulatory deformity: The amount of angulation that is produced depends upon the force of violence and pull of the muscles. (c) Shortening: In cases of completely detached fractured segments, the longitudinal pull of the muscles produces overriding of the segment and shortening of the forearm. (d) Rotational deformity: The rotational deformity is produced by the action of the supinator and pronator muscles. Radiological evidence: The site of fracture may be present at any level of the bones. 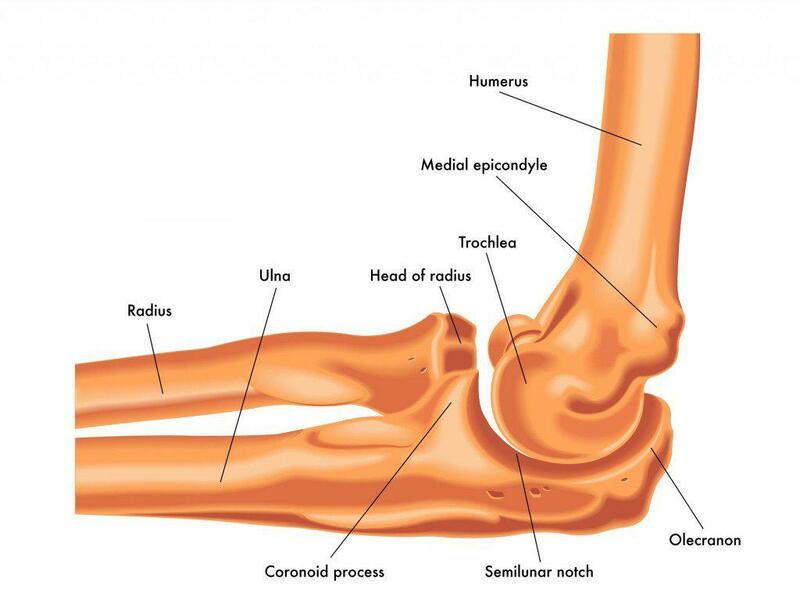 In most cases, the level in the radius is at a higher position than that of the ulna. In children, greenstick fracture is likely to be associated with marked angulatory deformity. Closed reduction: Proper reduction is achieved only by understanding the nature of violence that produces the lesion, type of deformity that is produced and the anatomical factors concerned in maintaining the deformity of bone following fracture. The reduction can only be achieved by applying force opposing to the one which has produced the lesion. An unstable fracture can redisplace even after being reduced satisfactorily. This condition can be recognized by repeated x-rays. Open reduction is often necessary to perform alignment and to correct the rotatory deformity. Open reduction needs ortho surgical implants and orthopedic devices which can be obtained by manufacturers of orthopaedic Implants in India. Correction of completely separated fragments: Generalanaesthesia with complete relaxation is ideal. No hurried manipulation is necessary. Traction and counter-traction are applied with the elbow flexed at 90⁰. The surgeon holds the distal segment while the proximal part of the forearm is supported by the assistant. The forearm is maintained in prone, mid-prone or supine position during the time of traction in accordance with the fracture of the lower, middle and upper third of the forearm bones. Traction must be maintained for some time to overcome resistance of the longitudinal muscles. This helps the shortening to be corrected. Correction of rotatory deformity: Thisis maintained according to the site of fracture after which reduction is performed by the usual technique. III. Correction of displacement and angulatory deformity: This is achieved by applying pressure on the proximal and distal segments of the fractured bones. Palpation helps in recognizing the alignment of the bone segments. (a) By rotation of the forearm around a fixed part: In many cases it is difficult to bring the fractured ends of both bones into proper position at the time. In some circumstances the fractured ends of one bone are first fixed by bringing them into apposition, then making the aligned segments as center, the other broken bones are rotated until they come into apposition. During this procedure, the forearm is bent slightly at the fixed center to make space for the other segments to come first and then manipulate the ulnar fragments. (b) Reduction by increasing the angulation: Displaced transverse fracture may be difficult to reduce. This technique is useful when the periosteum is attached on one surface. It is applicable especially in fracture of the distal third of the forearm but can also be applied in other bones. The shortening is corrected by applying traction and counter-traction. The angulation is increased at the site of fracture while the traction is maintained. The edge of one fractured segment is thereby fixed with the edge of the other segment. Pressure is then applied to the distal segment while the angulation is corrected. The fractured segments become aligned. (c) Greenstick fracture with angulation: Cases of greenstick fracture with angulation and without separation have broken periosteum on one side while the continuity of it on the other side is maintained. During the process of reduction, the angulation should be over-corrected to break the intact periosteum. Care should be taken not to separate the fractured segments. Failure to break the periosteum will exert a springing action and may tend to produce the original deformity. The process should be gentle and calculative. The reduction is maintained by applying a long arm plaster cast with the elbow-joint flexed at 90⁰. The position of the forearm is maintained in supine, mid-prone and prone positions in accordance with the fracture of the upper, middle and distal third of the forearm bones. Cases with marked oedema of the forearm should be immobilized by applying a dorsal slab fixed by ordinary cotton bandages after successful reduction. To Join the fracture bone surgeon are using implants which is provided by orthopedic implant exporter in India. Elevation of the limb: The forearm should be kept elevated for a period of 24-28 hours where there is chance for the development of oedema. Post reduction management: During this period, regular observation for the neurovascular competency is assessed. Most serious complications like Volkmann’s ischaemic contracture and development of gangrene are preventable. Check x-ray: Immediate check x-ray is taken after the reduction is done. Angulation and displacement of the fracture can even take place inside the plaster. X-rays at regular intervals are done to prevent these complications. When necessary further correction can be made remanipulation. Exercise: Shoulder and finger movements are started from the very beginning to prevent joint stiffness. Immobilization: The plaster immobilization is maintained for a period of 8 to 12 weeks in adults, 3 to 6 weeks in children. Open reduction and internal fixation are often required in fracture of the forearm bones. This is indicated in cases of failure of reduction and in unstable fractures where it is difficult to maintain the reduced position in plaster. Fixation must be rigid. Nonunion even after internal fixation is still high.